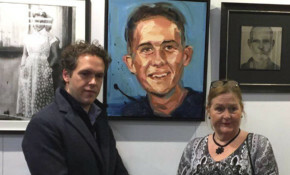 Mother of missing Isle of Wight teenager, Damien Nettles, flew across the Atlantic to see his portrait in the Unmissable Exhibition being held in London over the next three days. The Cowes cruise season starts just ahead of Easter with a maiden call on 17th April from Hanseatic Nature, one of Hapag Lloyd’s new expedition class ships. Then from May to July, another six cruise ships are scheduled to come to the Island, including Europa, a regular visitor to Cowes. The Isle of Wight council advised earlier this morning that the Cowes floating bridge was out of service due to a malfunction. A passenger launch is in operation. Vehicles are diverted via Newport.